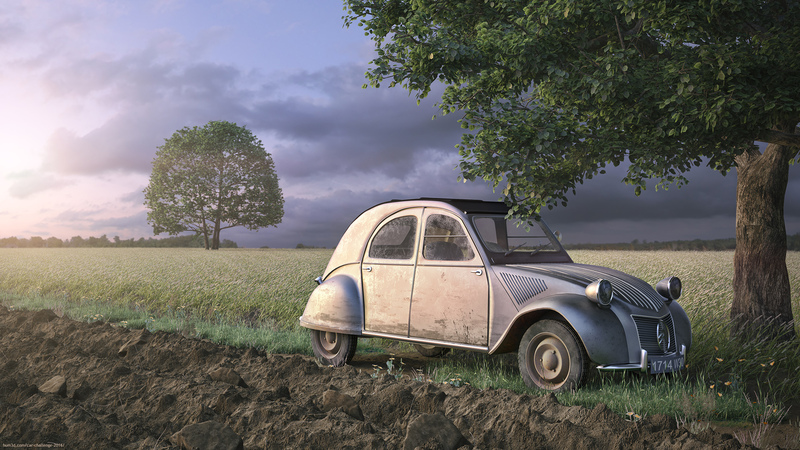 It is a bucolic representation which is located in the french countryside that shows the 2CV awaiting the return of its owner went for a walk. Your texturing is great… wow! 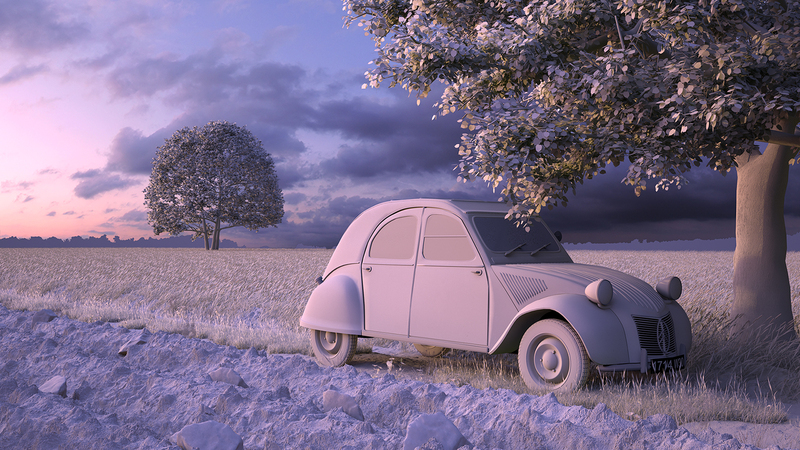 awesome render! !….